Will the JAPAN F-3 beat the F-22 RAPTOR? Japanese Patience finally runs out after Japan’s request to immediately have a fleet of F-22 Raptor Fighter aircraft never led to hope. 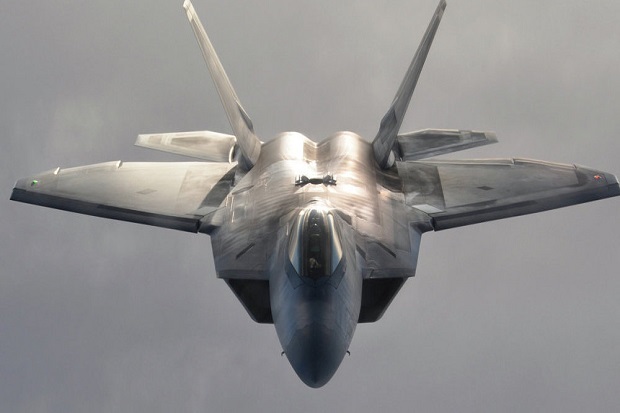 The United States remains adamant that the F-22 is the ultimate secret weapon of the American military. They will not divide anyone, even their closest allies even Israel. The revival of the Chinese Liberation Army supported by China’s economic progress made the Japanese military act aggressively. They are ready to challenge the 7th Fleet of America in power over the security of the Pacific region. The revival of the Chinese Military, in particular, the Navy, has made its neighbors anxious. Japan became more and more anxious when China officially owned the Liaoning Landing Ship, the J-20 Demonstration Aircraft and the number of Modernization of Other Strategic Weapons. Japan has a dark past as a State with World War 2 aggressors. Nonetheless, they are still moving forward to improve their domestic arsenal. After successfully building the Izumo Class Helicopter (LHD) and Soryu Class submarine, Japan immediately resumed the long-delayed Project, the 5th generation Combat Aircraft. Development of Japan’s 5th Generation Fighter, the ATD-X Shinshin Project, fronted by Mitsubishi Heavy Industries. Mitsubishi Heavy Industries is Japan’s F-16 Jet Fighter maker, Mitsubishi F-2. Can the 5th Generation Jet Fighter Japan bypass Kedigdayaan F-22? see the Constellation of military forces in neighboring China, which is building Jet-20 and J31 Jet. Then there is Russia with Sukhoi T-50 Pakfa program. South Korea, which also built a stealth fighter jet with Indonesia (KFX / IFX) and potential world conflicts that are likely to be centered in the Asia Pacific region. Of course, the Japanese military will do its utmost to increase its defense power to keep up with its neighbors. Japan as an industrial and high technology country capable of making technology capable of surpassing F-22 Raptor or at least F-35 JSF.